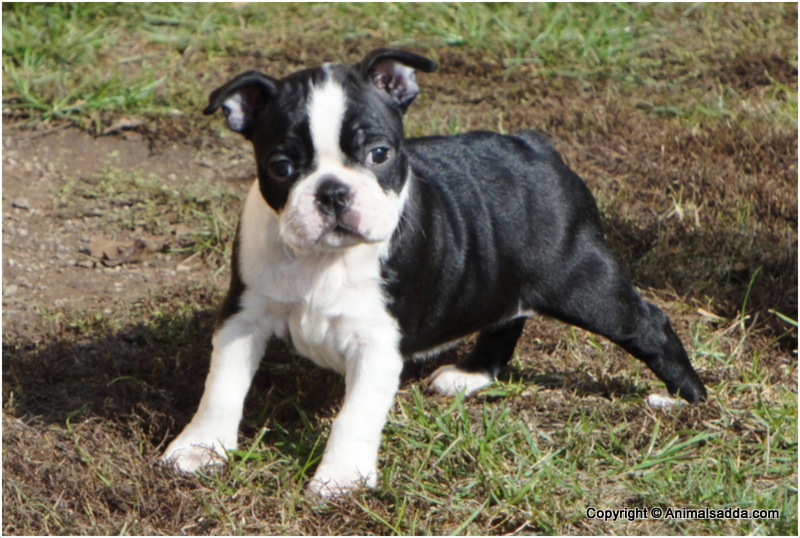 The Boston Terrier is originated in the United states and is said to be the small-sized non-sporting dog breed. 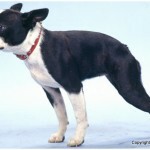 It is one of the popular dog breeds in the United States and is a good companion dog for humans. 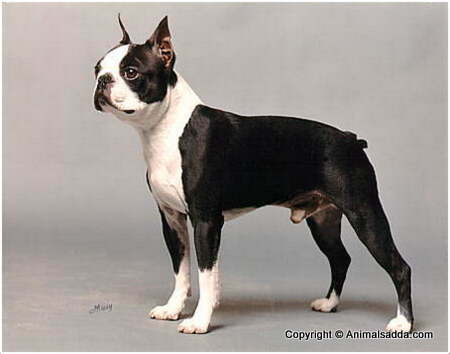 The other names for the Boston Terrier are Boston Bull, Boxwood, Boston Bull Terrier and American Gentlemen. 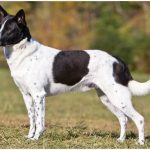 It is said to be the first US breed to be recognized by the AKC in the year 1893 and is also a first of all non-sporting breeds. 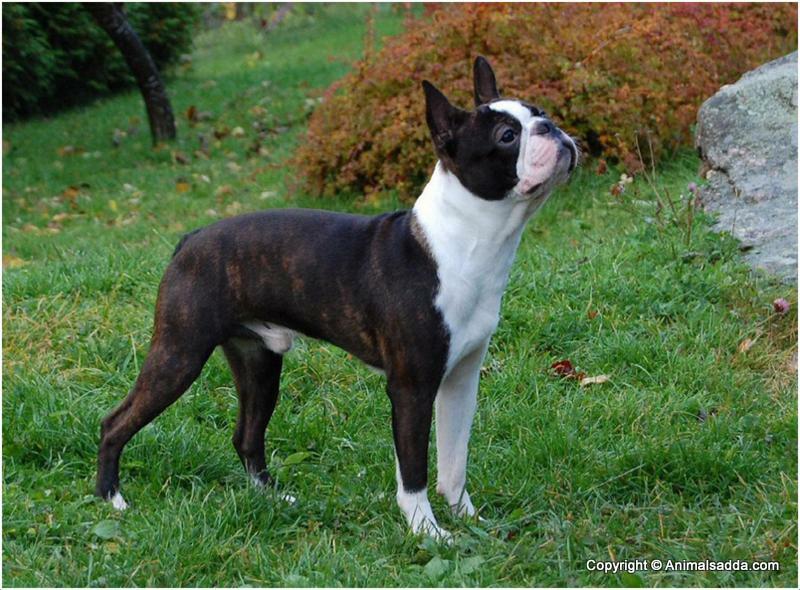 The temperament of this breed is said to be intelligent, alert and friendly. 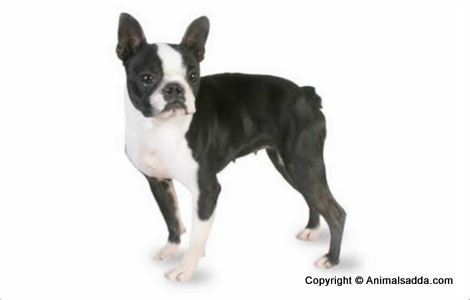 The Boston Terrier is not hypoallergenic. It will make cats as friends very soon. It is friendly towards other pet dogs. 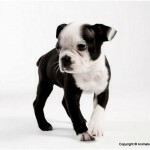 No harsh training is required for this dog as it can be trained easily and for few dogs crate training is recommended. 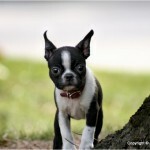 The price of the Boston Terrier is about $500 to $800. Sometimes, they are prone to reverse sneezing; rubbing their necks will reduce and stop this problem. 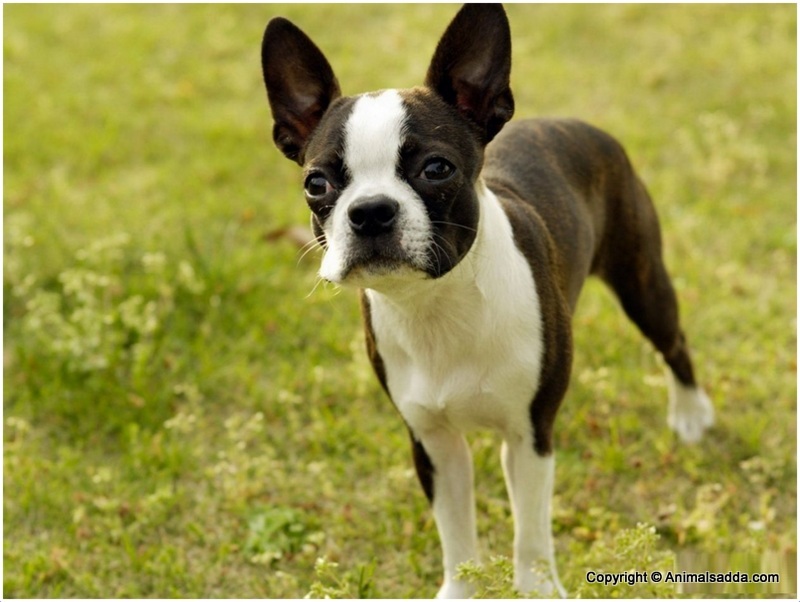 The Boston Terrier is famous in dog agility and in other activities too like flyball, dock diving, obedience training, barn hunt etc. 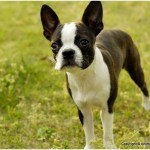 The Boston Terrier is small in size with a deep and wide muzzle generally free of wrinkles. The eyes are large and they have erected ears. The legs are not too long and the dog is compactly built. The coat of the dog is smooth and short and comes in various colors. 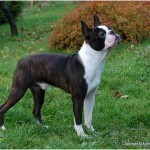 Generally, the Boston Terrier is seen in the colors like brindle, seal (black with red castings), black (along with white markings) or some with brown and white. 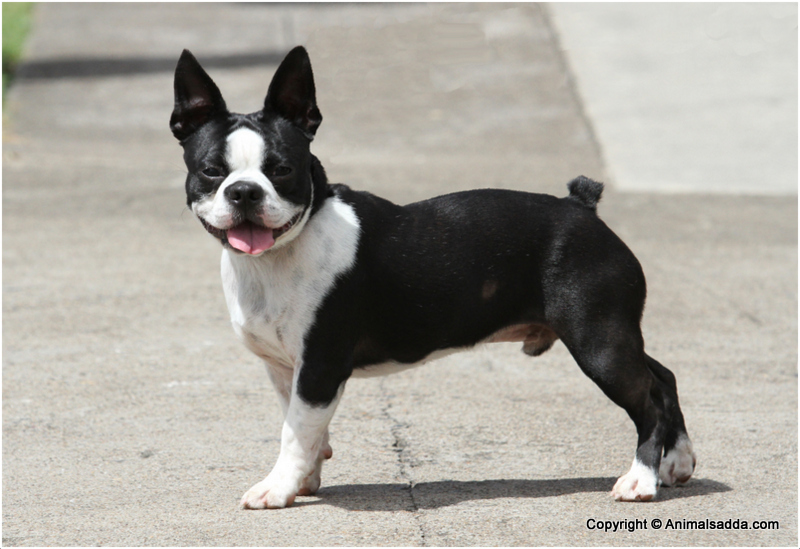 The weight of the male Boston Terrier is about 8-25 lb (3.6-11.3 kg) while the female weighs about 6- to 22 lb (2.72-9.9 kg). 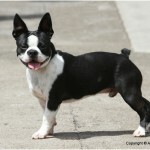 The height of both male and female Boston Terrier varies from 9- to 15 inches (22.8-38.1 cm). The Boston Terrier dog is said to be alert, intelligent and a good companion dog. It can be trained easily and it will be obedient towards owners. Sometimes, it turns aggressive on other animals in order to keep the owners safe thus resembles the good companion dog for the humans. 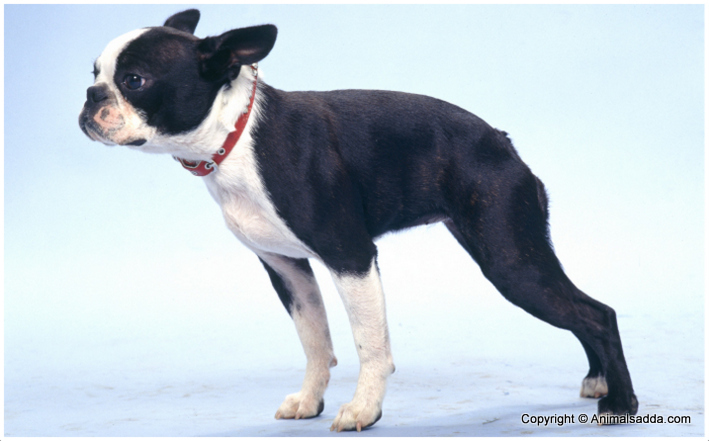 In previous days, this dog is used for chasing rats but later it became a companion dog. 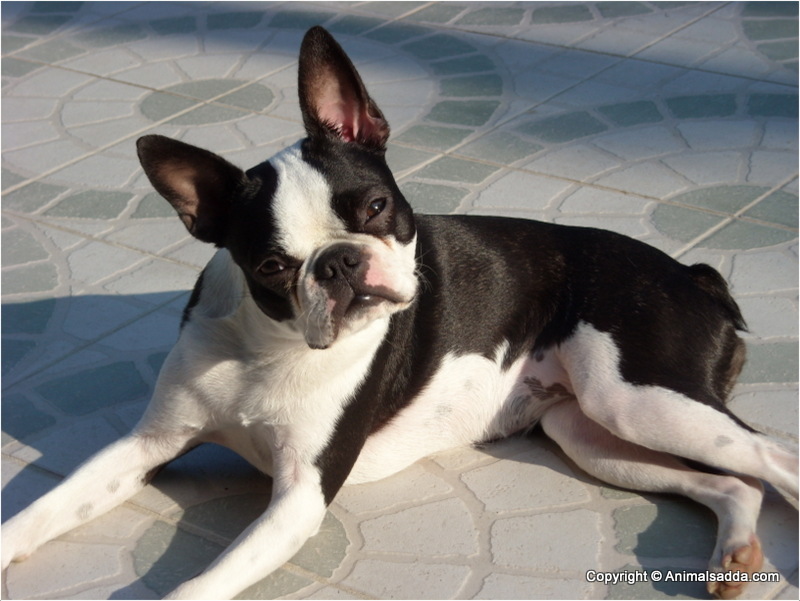 The Boston Terriers are healthy but few times they prone to few health disorders. The common health issues that might occur are Patellar luxation, cataracts, mast cell tumors, cherry eye, deafness, reverse sneezing, allergies, heart murmurs, mega esophagus and few allergies. 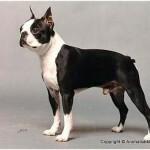 So, proper care and attention is required for the Boston Terrier in order to keep it safe and healthy. 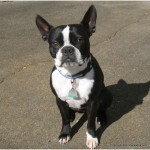 The Boston Terrier dog should be fed with a quality and healthy food. Only use clean drinking water and it is suggestible to prepare a proper food schedule for the dog and avoid over feeding. 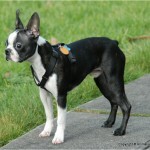 The Boston Terrier dog suits good for apartment living. It adapts the home-environment very soon and is active indoors. A house with yard is also acceptable for the dog as it likes to walk and run all the time. It is sensitive towards too hot and too cold weather conditions, so proper care should be taken and shouldn’t expose it to extreme weather conditions. 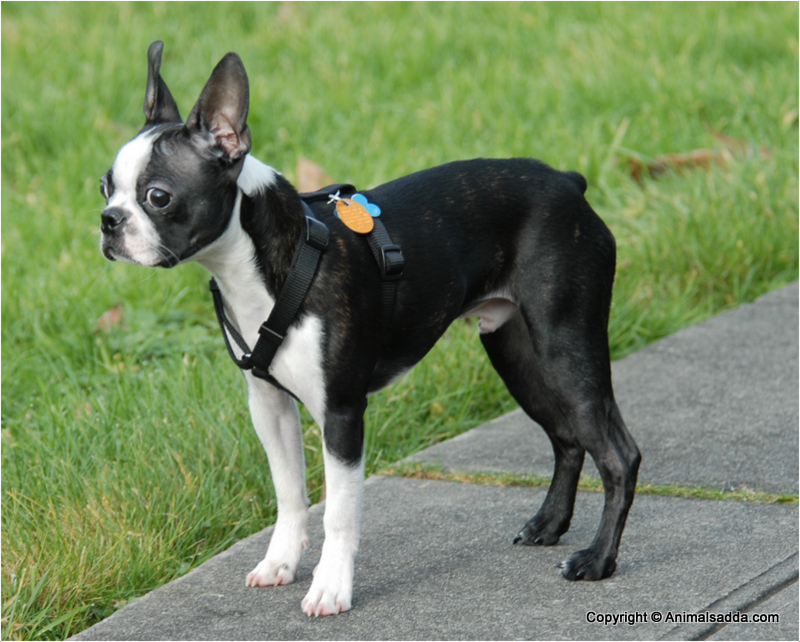 The Boston Terrier dog is always alert and active. It prefers long walks daily along with the owners, and likes to play within the fenced yard. 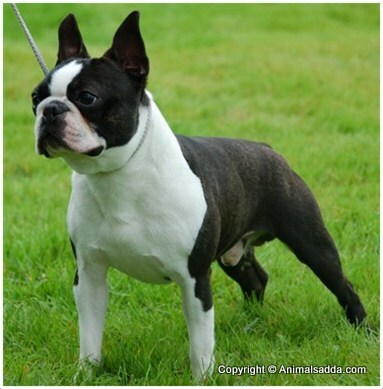 It entertains the family members with its active and funny attitude and likes to play with the children. 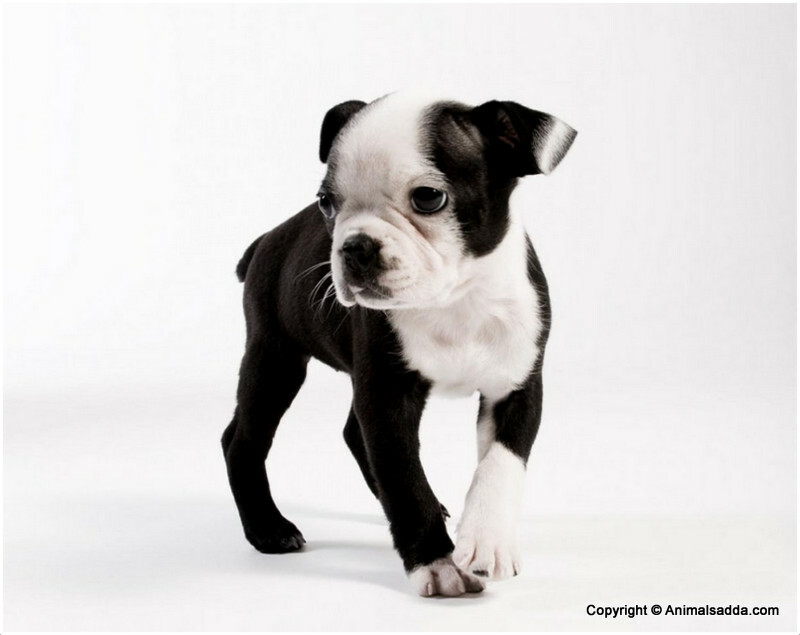 The Boston Terrier dog can give birth to average of 1 to 6 puppies. 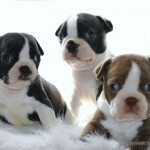 Most of the dogs undergo caesarean section in order to get puppies. So, proper care and vet’s advice is recommended for the dog. 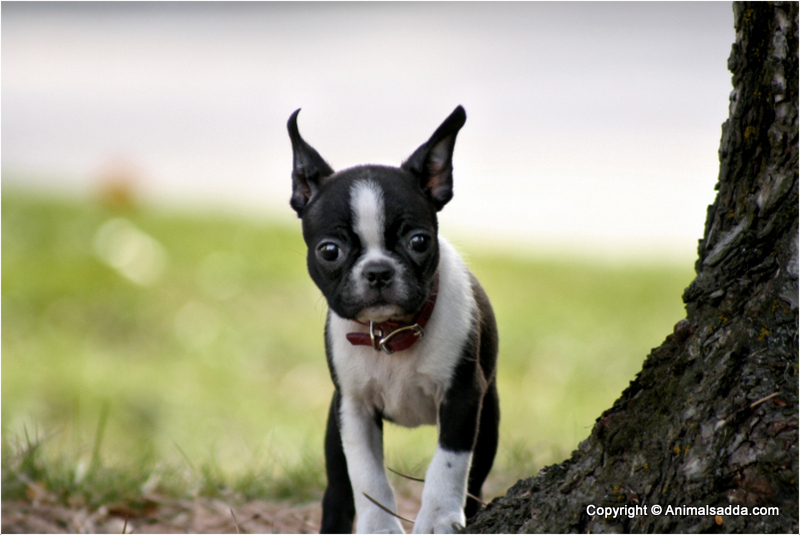 On the daily long walks, owners should keep an eye on this dog as this is small in size and may bark at other animals. 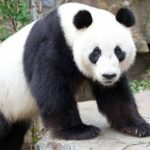 So, it may grab the attention of other big animals and can possess danger. So, owners supervision is must on the dog. 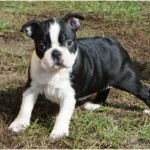 The Boston Terrier dog should attain a proper age for the healthy breeding. The professional breeding is recommended for the dog and mostly these dogs undergo caesarean section, so care is required after the breeding. 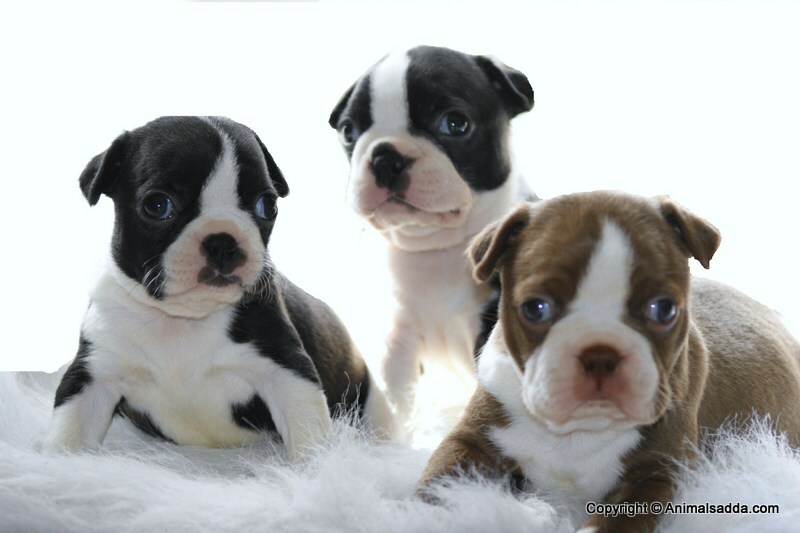 On an average, the Boston Terriercan lives about 11 to 13 years. Keep the dog healthy and make it live for long years. 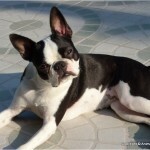 The Boston Terrier needs weekly brushing and combing so that it can be clean and fresh. Make it bath only when necessary and clean the ears regularly. 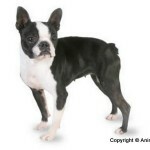 The Boston Terrier is not a heavy shedder and it doesn’t have much dog odor. Regular grooming is sufficient for the dog to keep it clean and healthy.